Gionee M6s Plus comes with a massive 6.0-inch AMOLED touch screen. This promises crisp images with a resolution of 1080 x 1920 pixels. The large screen surface offers a very enjoyable movie and game experience on the phablet. You get a 13-megapixel two-tone camera, a dual LED flash, autofocus phase detection and an HDR on the back. This is coupled with an 8 megapixel selfie shooter with an f / 2.0 lens. Gionee M6s Plus offers 64GB of integrated storage expandable up to 256GB via a dedicated microSD slot. At least on paper, the Gionee M6s Plus is a solid performer. It is equipped with an Octacore chipset from Qualcomm Snapdragon 653, with four cores operating at 1.95 GHz and four others at 1.44 GHz. Here, the Gionee M6s Plus is different from the duo M6 and M6 Plus. Both models offer a Mediatek processor instead. 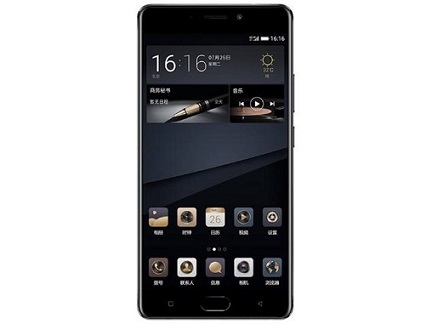 Gionee M6s Plus promises impressive responsiveness with 6GB of generous RAM. An Adreno 510 GPU cracks graphics for exciting movie and game viewing experiences. The phone launches Android Marshmallow 6.0 Mobile OS, covered by Gionee's Amigo 3.5 Skin. You will be surprised by the giant 6020 mAh lithium-polymer battery supplied with the Phablet, which corresponds to the battery capacity of the Gionee M6 Plus. This is the type of juicer you plan to keep for up to two days with a single charge. With Quick Charge 3.0 technology, you can replenish the juicer very quickly. Gionee M6 Plus supports reverse charging, which means you can use it as a power bank to charge your other devices. The Gionee M6s Plus comes with a fingerprint scanner on the front. It offers ultra-fast 4G LTE connectivity. You also get Infrared, Bluetooth 4.0 with A2DP and Wi-Fi 802.11 b / g / n with Wi-Fi Direct and hotspot feature. Gionee M6s Plus supports LTE on MTN, Etisalat and NTel in Nigeria. 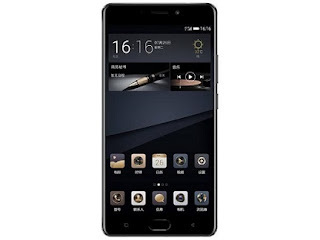 Gionee M6s Plus is not yet available in Nigeria, Ghana or Kenya. If available, you can buy the smartphone from the country's leading online stores. The Gionee M6s Plus price in Nigeria is expected to be between 165,000 and 255,000 nairas, depending on your location in the country.